If your house is anything like mine, it’s Star Wars everything all the time! We found these mini glow sticks (light sabers!) 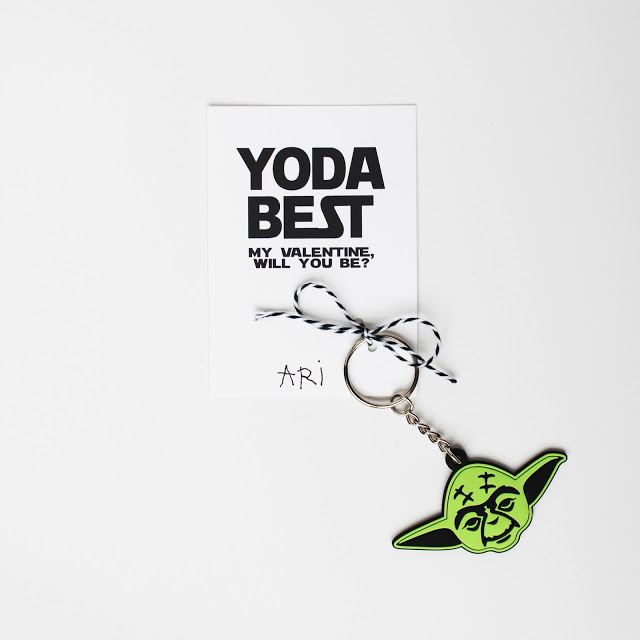 and Yoda key chains at the Target dollar spot. You could really use any Yoda toy or our Yoda tattoos HERE. 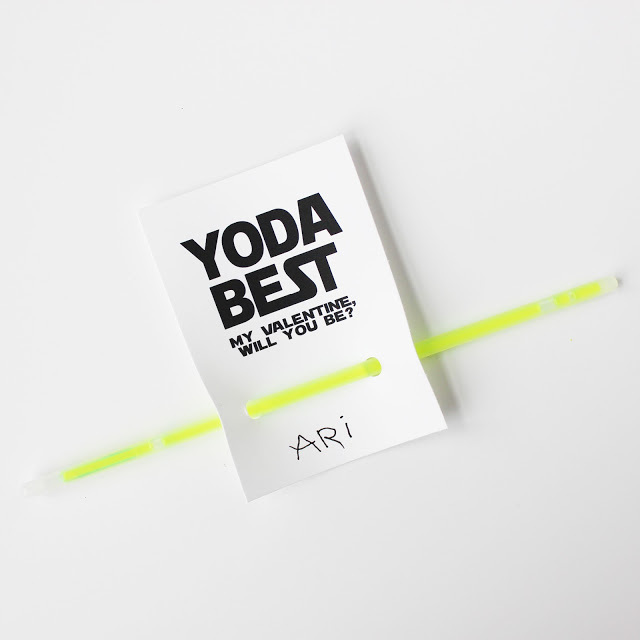 Simply punch two holes for a light saber (glow stick) and thread through. Or if you’re tying a key chain, punch two small holes close to each other and use string to tie it on. 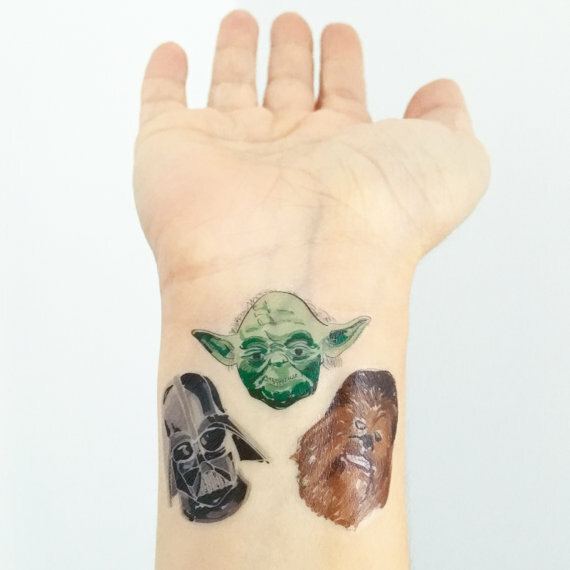 Find our Yoda tattoos HERE.